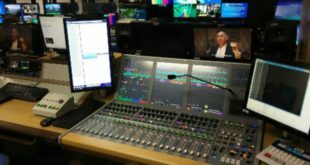 Calrec Audio will unveil a number of technologies that enable broadcasters to interface with multiple protocols simultaneously at this year’s NAB Show. Calrec will showcase four new networking solutions, including an AES67/Ravenna interface, an AVB interface, and a modular I/O Dante card that also has AES67 compatibility. In addition, Calrec will debut a SMPTE 2022-7 video interface. 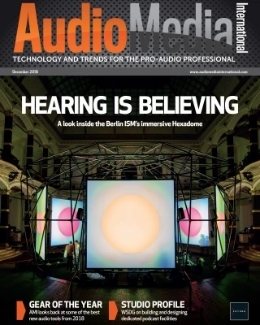 These technologies offer ‘unique and comprehensive flexibility’ across various audio and video standards. "We’re drawing a line in the sand with these products," said Dave Letson, Calrec’s vice president of sales. "We had held back on publicly stating Calrec’s formal direction on AoIP until we had properly assessed the market and talked to our customers. We strongly feel that it is not the role of a manufacturer to dictate which route to take, but to facilitate the broadcasters’ choices. "Calrec’s customers can now interface with multiple protocols at the same time. For example, a signal can be received via AES67 and then sent out via SMPTE 2022, AVB, Ravenna, Dante, or AES67. Signal-processing takes place via modular cards or 1U boxes. "Each signal also benefits from the management facilities inherent in Hydra2. This benefit is especially powerful in remote environments where multiple trucks are connected. It means that different units can operate across multiple formats in the field, and Calrec always has them covered." 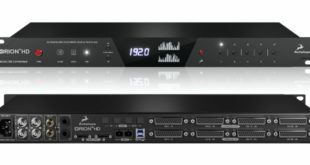 The AES67/Ravenna and AVB interfaces are a 1U box that can transport 256 channels of audio on a single connection. 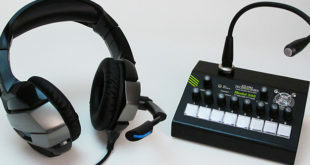 A second expansion card can provide full redundancy or 512 channels of audio – one of the highest-bandwidth connections available for either protocol. The box is versatile in that it can accommodate one of each card, allowing simultaneous operation of multiple formats. 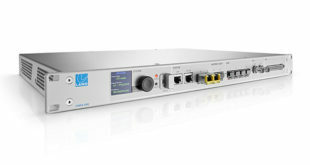 The SMPTE 2022 modular I/O card provides either four HD-SDI streams with 16 channels of embedded audio in each, or a single UHD stream with 16 channels of embedded audio. This versatility allows a greater density of signals per connection while future-proofing infrastructures as they migrate to UHD. 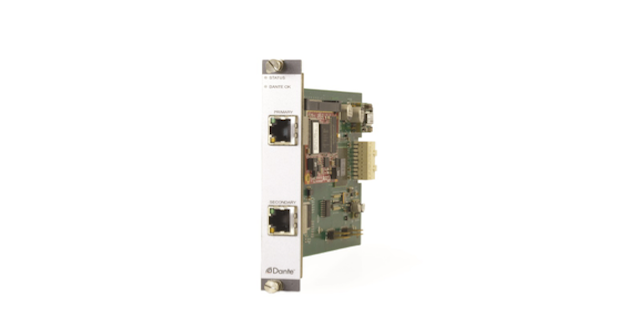 The manufacturer’s existing Dante modular I/O card, launched at IBC 2014, utilises Audinate’s Brooklyn II card and now offers AES67 support as standard. 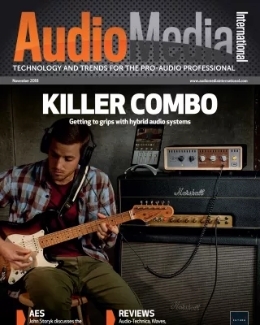 This combination allows access to up to 64 bidirectional channels in either protocol. 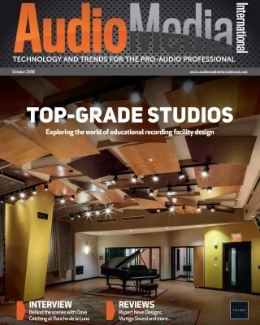 Calrec says offering this range of interfaces reinforces the company’s stance in the ongoing debate surrounding the future of audio transport protocols.